When you choose Tong potato handling equipment, you choose the most advanced. Backed by 85 years of potato grading and washing expertise, Tong's potato grading equipment is not only accurate, it is over 50% more energy efficient than ever before. 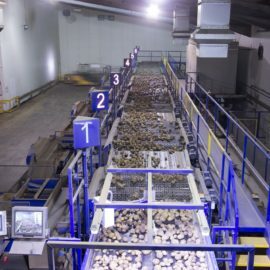 With a wide range of potato processing solutions, Tong offers the complete solution to your potato grading & handling needs. 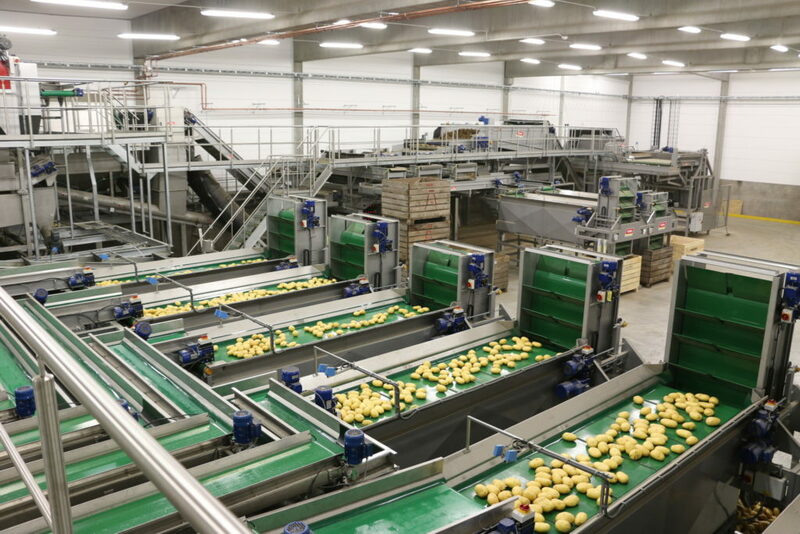 We are one of the world’s leading manufacturers of quality potato processing machines and handling equipment. 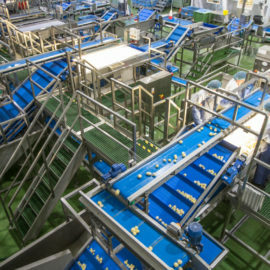 With over 85 years of engineering experience, Tong offers unrivalled expertise in both the design and manufacture of advanced potato handling & washing and potato processing machines. From a robust and reliable mobile or static potato grader (our bespoke Caretaker), to the latest potato washer and maintenance-free Martin Maq potato polisher, Tong offers a wide range of potato machinery to suit all potato processing machine requirements. Tong prides itself in manufacturing a high quality potato processing machine that will embrace your current and future potato handling needs. Tong Engineering can manufacture equipment for any potato processing or potato loader need. 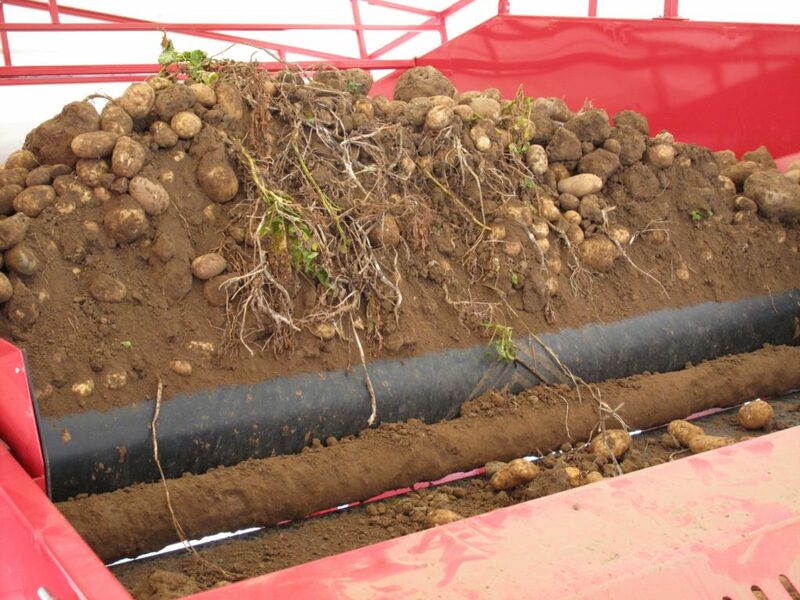 Whether you’re a potato grower looking for an efficient potato separator, infeed hopper or potato loader, or if you are looking for a custom built potato processing line or grading facility. 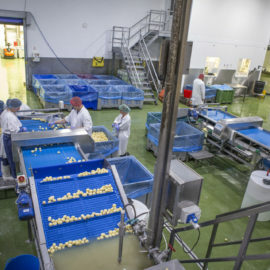 What’s more, Tong manufactures potato grading and washing facilities for potato processors and growers worldwide. 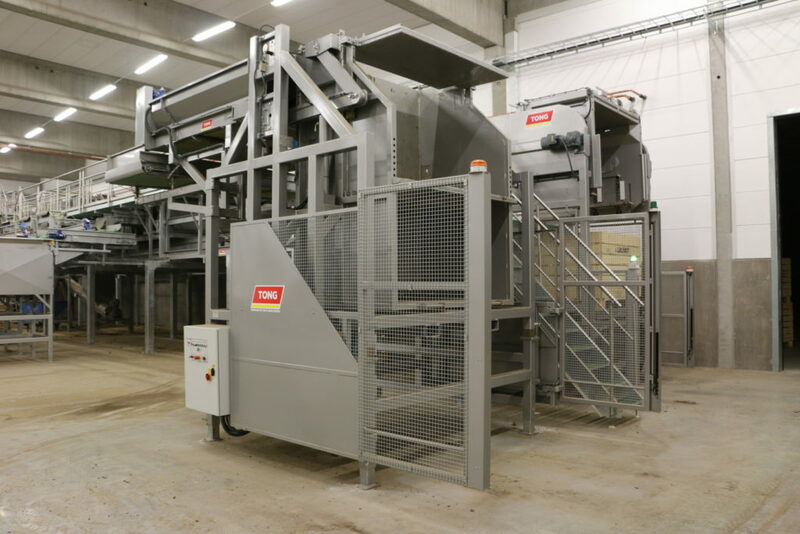 Some of our most recent installations include a stainless steel potato grading and washing system in Sweden, as well as potato grading line in the USA, and a large-scale potato grading line and a high-throughput potato peeling and processing facility closer to home in the UK. 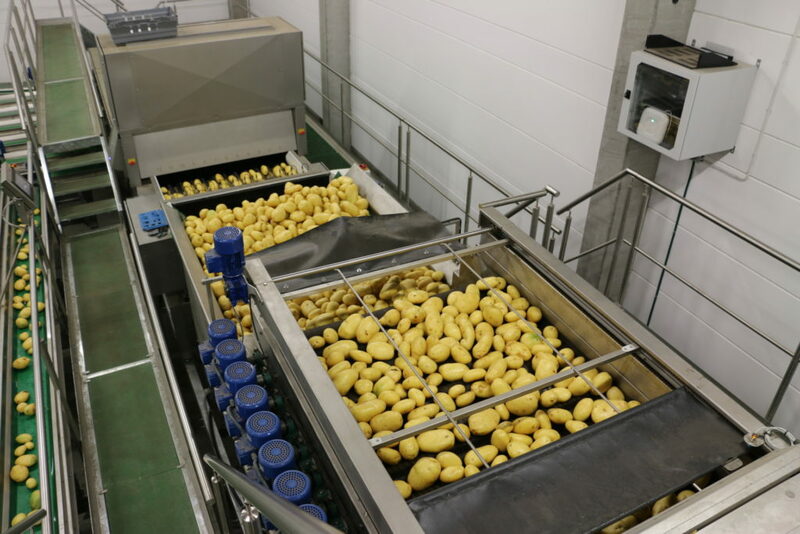 Our EasyClean Separator potato processing machine offers unrivaled potato cleaning, and our unique 2507 & 2509 weigher baggers mean that you can easily weigh between filling bags or trays. Tong has been manufacturing quality potato grading equipment for over 85 years and with such a wealth of experience in efficient potato sizing, Tong offers potato solutions that meet every modern demand. A Tong potato grader brings you the most advanced grading technology, with the most intelligent controls. 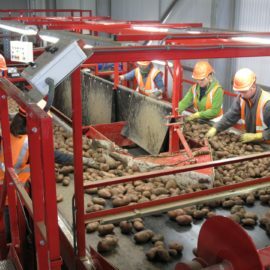 Designed with ultimate ease of use and minimal maintenance in mind, Tong potato grading machinery is robust, reliable and very efficient. If you’re looking for a mobile potato grader, the Tong Caretaker mobile vegetable grader is the market’s leading grading machine, offering gentle potato handling and accurate potato grading, all powered by the latest Blue Inverter technology for optimum energy efficiency. Running on as little as just 18 amps, Tong’s Caretaker potato grader offers exceptionally low running costs and ultimate reliability. In fact, all Tong potato grading equipment features inverter direct driven motors for minimal maintenance and power consumption. 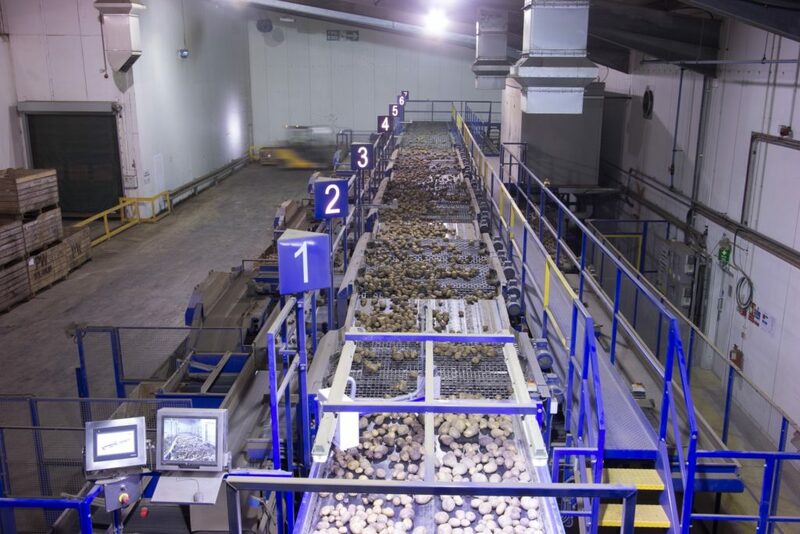 Tong potato grading lines are not only built with energy efficiency in mind, but safety and the gentlest potato handling are of utmost importance too. 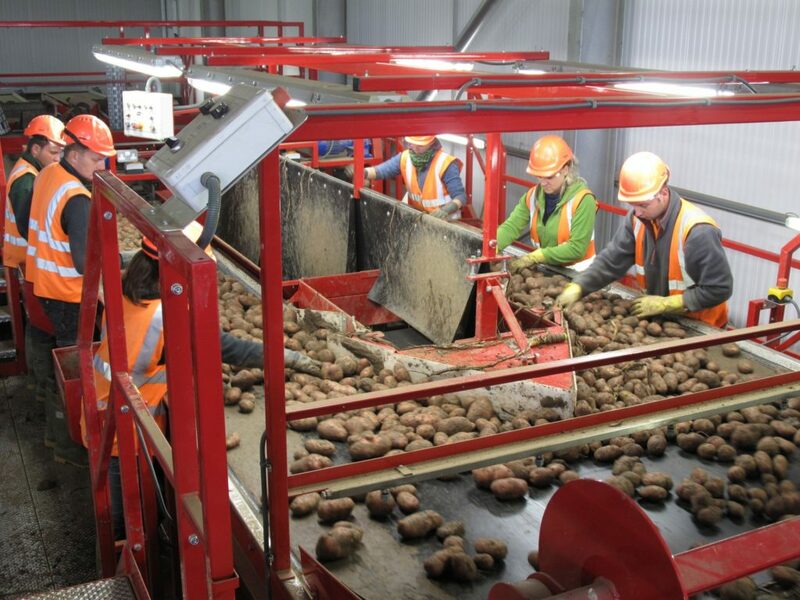 Designed to utilise space and labour in the most efficient way, Tong potato grading systems can be manufactured to suit a wide variety of throughputs, from 10 to 100 tonnes per hour. 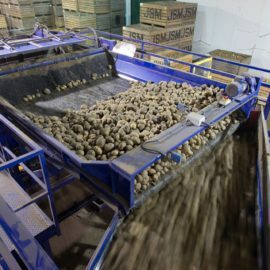 From potato screen grading, to grading potatoes using a lift roller grader, Tong can design a potato grading solution that meets your exact requirements. For more details on Tong potato grading equipment, click here to view our entire grading range. 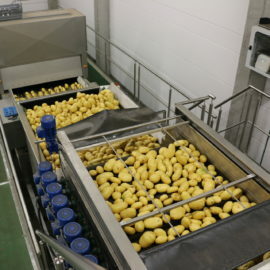 Tong’s market leading potato separator, the EasyClean separator, offers exceptional potato cleaning in all conditions. 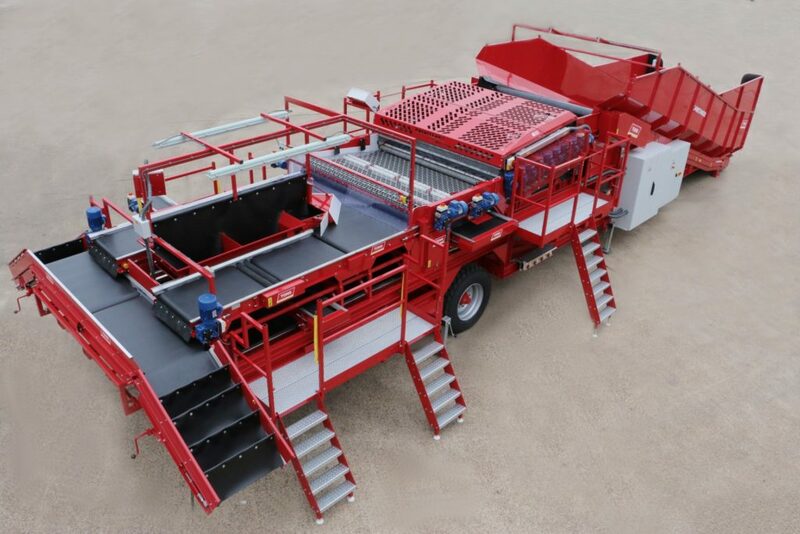 A refined model of the new generation potato cleaner, originally launched almost 10 years ago, the EasyClean separator is manufactured with uprated heavy duty spiral shafts, alternated between stainless steel clod rollers, for effective potato cleaning in both wet and dry soil conditions. Tong’s unique Auto-Touch HMI control also makes controlling and maintaining the EasyClean exceptionally easy, with automatic adjustment of rollers to suit any crop type and soil condition. 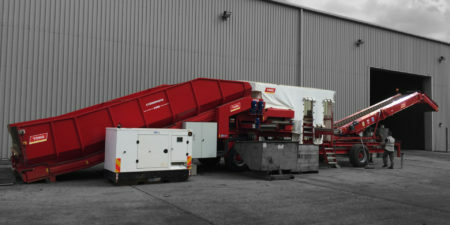 To find out more about the EasyClean potato separator click here. As well as the EasyClean, Tong also manufactures a wide range of potato cleaners suitable for lighter soil conditions, including the Tong Star Vegetable Cleaner, and steel or PU Coil Cleaners. 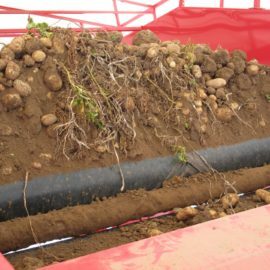 Tong’s adjustable potato coils offer effective removal of soil and debris, whilst offering users the ability to separate small potatoes from crop in the same process. 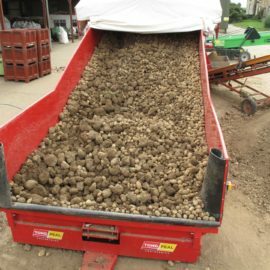 In such instances, a potato stone and clod separator is commonly used to efficiently separate small potatoes from the debris, allowing small crop to be used for further applications. Tong potato brushers also offer an effective option for removing soil from dry potatoes. Click here to view Tong’s entire range of potato cleaners. 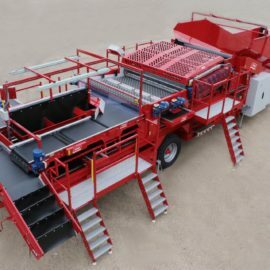 Robust, reliable and expertly engineered, Tong potato barrel washers offer the ideal potato washing solution, ensuring crop is gently yet efficiently washed, with throughputs ranging from 1 – 30 tonnes per hour. Available in mild or stainless steel, Tong potato washers are manufactured with a heavy duty stainless steel barrel and discharge elevator as standard, and can be fitted with a wide range of optional extras for superior potato washing. 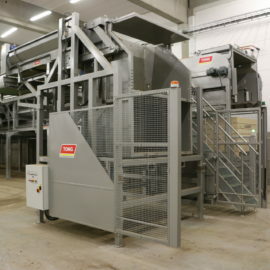 Manufactured in barrel lengths ranging from 1.2m – 5m, the Tong potato washer can be specified as a stand-alone washing machine, or integrated into new or existing potato washing lines. 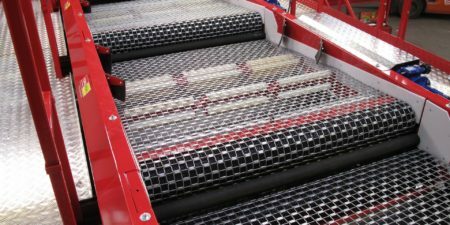 Tong’s comprehensive potato washing range incorporatess a variety of different options for efficient potato washing including potato brusher washers, gentle potato spray washers, effective potato destoners and more. From a small potato washer for low capacity potato washing, to a custom built high throughput potato washing facility including potato washers, polishers, sponge dryers and more, Tong offers the complete solution to your potato washing requirements, however large of small. 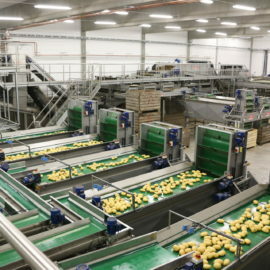 To view our complete range of potato washing equipment click here. Tong manufactures a range of reliable potato polishers which offer high quality potato polishing results, with minimal maintenance and gentle potato handling in mind. The TPS-Pro polisher is Tong’s next generation potato polisher which features electric direct drive inside every shaft, offering virtually maintenance-free potato polishing with exceptional results. Designed with the latest technological advances, the TPS-Pro potato polisher’s stainless steel shaft motors are self-contained within their own oil baths, with waterproof sealed bearings. These key features virtually remove the need for equipment maintenance or lubrication, providing exceptionally labour efficient potato polishing. Suitable for throughputs between 15-30 tonnes per hour, the TPS-Pro polisher is suitable for high capacity potato polishing. Tong is also proud UK distributor of the Martin Maq vegetable polisher which offers very effective potato polishing results. 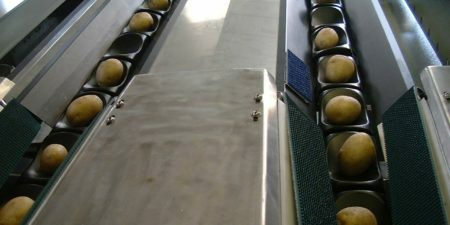 The half-barrel potato polishing system features a unique pendulum brushing action, for throughputs up to 15 tonnes per hour. Featuring polishing brush shafts configured in a ‘U’ formation, the Martin Maq potato polisher is manufactured with an independent motor on each brush shaft, ensuring reliable running and minimal maintenance. For lower throughput potato polishing, the Tong U-Brush polisher can be built in mild or stainless steel and is a budget potato polishing machine that offers the high-value polished finish characteristic of larger potato polishers, but at a lower cost. For more details on our range of potato polishing equipment click here. 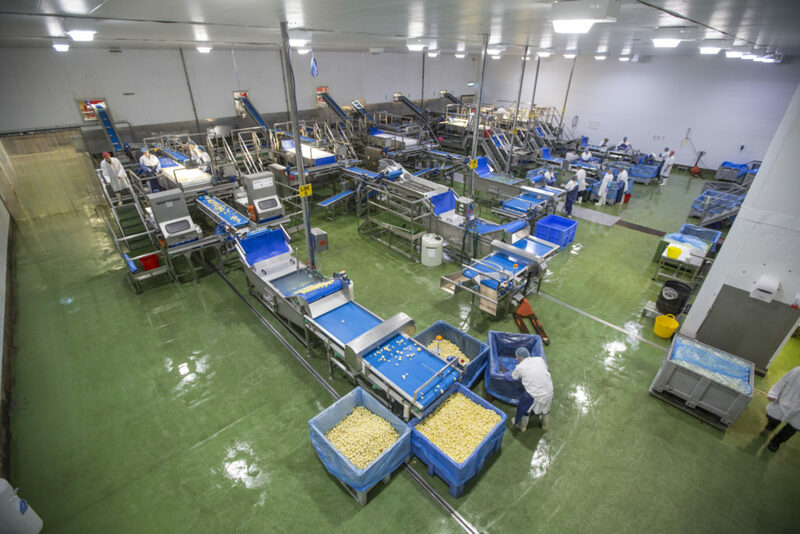 As well as unrivalled experience in manufacturing advanced potato grading and washing equipment, Tong also offers a wealth of expertise in the design and manufacture of complete potato processing facilities. 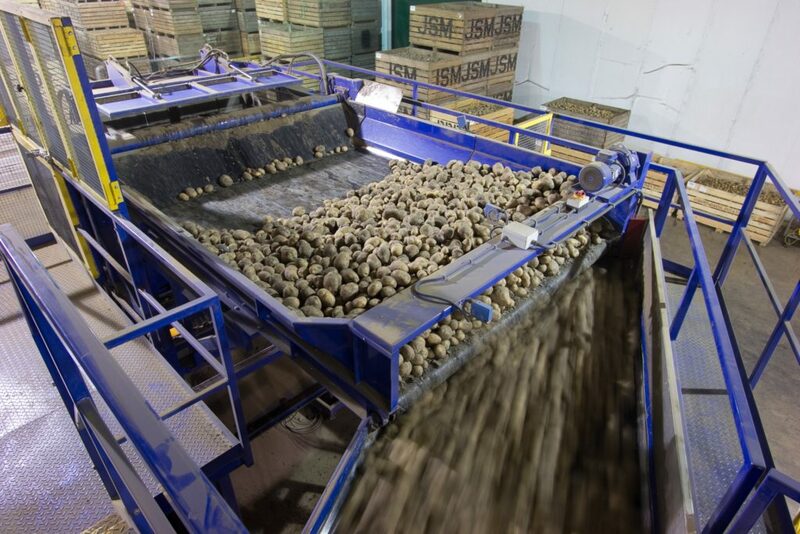 Designed to handle potatoes literally from the field to packaging, Tong’s potato processing equipment can be built to suit your specific application and requirements. 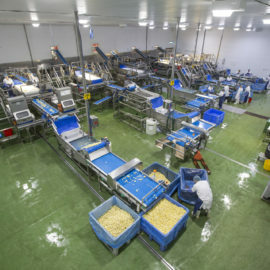 From complete stainless steel potato processing lines to single items including potato peelers, inspection tables, potato dip tanks and more, Tong offers the complete solution to your potato processing needs. Click here to view Tong’s range of potato processing equipment. 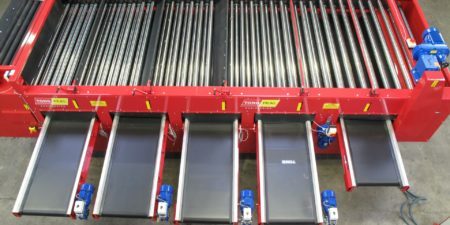 Whether you are looking for a high capacity potato hopper or an even flow hopper to evenly feed potatoes onto your potato washing or grading line, Tong manufactures a wide range of infeed hoppers that are built to last. 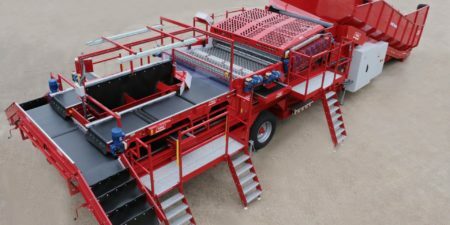 Built with the strongest construction, and using the highest quality components, Tong manufactures a range of mobile potato hoppers as well as static intake hoppers, to suit every bulk potato loading situation. From stainless steel wet hoppers at the infeed of high-care potato packing lines, to heavy duty potato hoppers for receiving potatoes from bulker lorries and trailers, Tong works with clients to build a hopper that meets even the most demanding potato loading requirements. For more details on Tong’s range of potato hoppers click here. Tong specialises in the design and manufacture of a wide range of potato processing machines and potato weighing equipment, suitable for weighing potatoes in pack sizes ranging from 5 to 50kg. 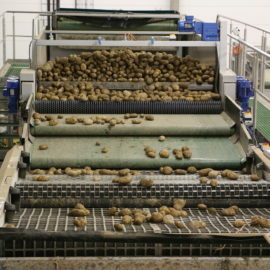 From the simple 425 weigher bagger which offers semi-automatic potato bagging, to the higher capacity 2025 potato weigher offering electronic weighing of potatoes into bags or trays, Tong has a potato weighing machine for a wide variety of needs. In addition to a wide range of potato weighers, Tong also offers quality potato bag closing and stitching equipment for a complete potato bagging solution. 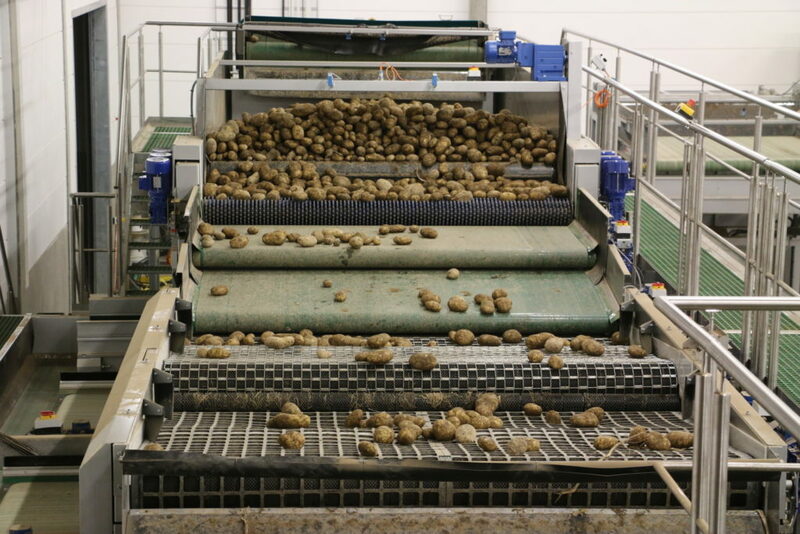 With options including hand-held potato bag stitchers to fixed-head bag stitchers and bag-holding conveyors, Tong can design a potato weighing system that saves time and increases throughput. 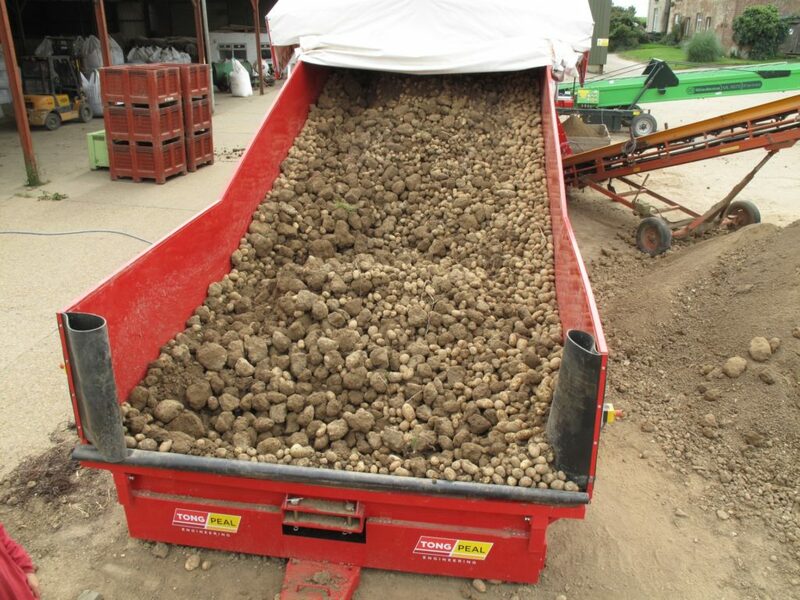 To view Tong’s wide range of potato weighing equipment click here. 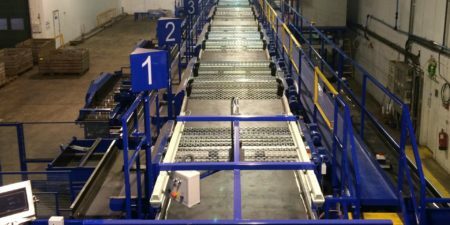 With a wide range of standard potato handling machines and models, as well as custom-designed solutions, Tong can offer a quality handling system that suits any requirement, however large or small. 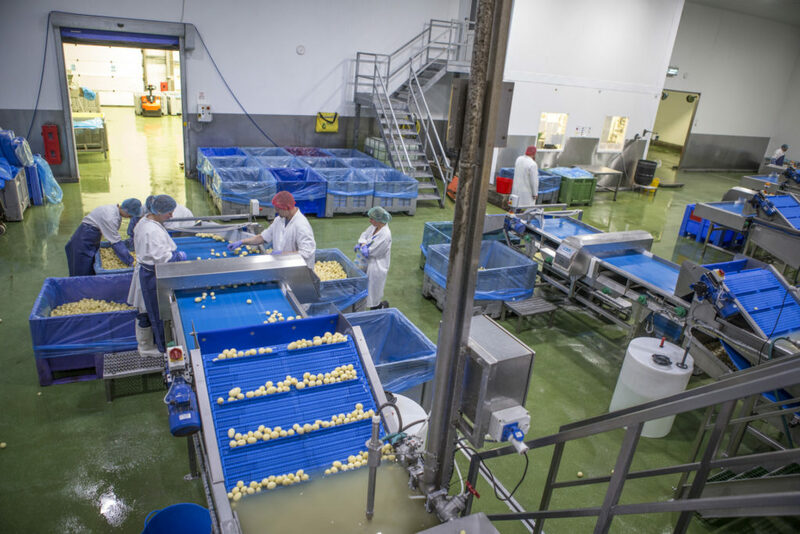 Built to perform under the most demanding situations, Tong potato handling equipment can be built to suit all throughput requirements, whether you are looking to process one or one hundred tonnes per hour.